There was a time I gave up my job search in the public sectors due to what I conceive then as nepotism, favoritism, ethnicity and god fatherism in the system. Whatever, I say here is my personal experience and opinion. I understand thousands out there are beneficiary of what might have worked against me and many others…and so many will be there to counter what I have to say. Hold your peace instead and hear me out if you care to. Merit is no longer obtainable in the system, encouraging laziness thereof. When in 1996, I went to the University of Nigeria, Nsukka to see my name pasted on the admission list as in a merit list. I must say here that in all my life I’d not been to Nsukka until I went to check my admission. I saw my name on the merit list. Don’t ask me if I was happy. I was! And, not only being happy, that also encouraged me to work hard all through my undergraduate studies. I graduated without any re-sit and of course, I wasn’t the best graduating student in my department but I’m driving a point. I went with such zeal and hope that merit is obtainable in the labour market but the reverse was the case especially in the public sectors. I did many tests and interview, ordinarily I should be called for the job based on my performance but to no avail. Some of our guys went into following politicians up and down, turning to boy, boy in order to get what they want. Some even turn to fanatics about the person they follow. If you say anything contrary to the politician, you’re in trouble then. And of course, many succeeded in getting jobs through that means. Merit has been jettisoned for whatever that goes. There is federal character principle and even commission put in place in the country for decades now. What does this federal character principle tend to achieve? We were told, it was aimed at striking balance in the system. But in the actual fact, does it? If Mr. A score 50 and from the South, and Mr. B score 30 and from the North, you won’t be surprise that Mr. B will be taken for whatever purpose is for the exam. You and I were told that some section of the country is educationally less developed state…and so should and must be given advantage over the person that is from the educationally advantaged state. Of what sense does it actually make if I may ask? Does it encourage hard work and excellence or laziness? This is politics without considerations for vibrant institution. I came to realize that whatever decision our political leaders make or advocate for, it is either they have ulterior motive about it…either to favour themselves, their tribe or section but not for the interest of the country as a whole. Not until our leader start to build institution that will endure, and make our country a better place, some of the challenges we are facing today will continue to re-occur. Continued building and strengthening of institution is what makes America what they are today. Here in our system we believe so much on personalities than institution. I’m surprise myself that since I was born, and now that I’m old enough, I’m yet to see any true Nigerian leader(s) that have this country at heart. We had often got disappointed by our leaders in lines of nepotism, favoritism, ethnicity and god fatherism. The only leader I can vouch for today that tends to strike balance in the system was former President Olusegun Obansanjo. I’m not saying that he didn’t had his fair share of shortcomings but to a large extent he handled the affairs of this country with great sense of consideration given the complexity of the country structure. What is happening today? People are crying out loud for imbalance in key appointment in the present government. Did anyone care? Initially in this government, there was allegation that there was recruitment organized by the Central Bank of Nigeria (CBN), and that most beneficiaries are the APC leader’s children and their relatives. Nigerians raised the issues then but as usual, it died down naturally. In the federal ministries, the much touted federal character principle had been jettisoned for what have you. Who would you cry to when there will be thousands of reason you would be given why it was so. Sometimes, the people you ought to cry to, are the people perpetuating the act, so where would you run to? Of recent was the issue of DSS recruitment as widely reported in the national dailies, accusing the north as being favored most in the DSS recruitment. It was reported that north-east got 100 slots, south-south 42, south-east 44, south-west 46, north central 56 and north-west 165. Here, you may be tempted to ask; where is the equity in the system? Who would you cry to? Until we drop this federal character for merit, there will continue to be rot in the system, and sadly people will continue to cry foul. Where some sections feels alienated or cheated in the system, it could result to agitations. Where are we getting it wrong in this country? It is like football spectator(s) who knows best tactics to score goals more than the player in the pitch of play, blames every players for not be able to score goals and pointing out their mistakes and wish s/he is in the pitch to utilize those missed opportunity at goal mouth. However, when they are in the field of play, they commit the same error. Politicians have started campaigning again in earnest for the 2019 general elections. They have started projecting themselves for the 2019, coming out with all forms of promises to win election. Truth is, the Nigerian electorates remain vulnerable in the hands of our politicians. Those that ought to lead us by example are doing otherwise. Where do we go from here? I want to appeal still with our leader, let’s have the interest of the people at heart. Let’s build institution instead of looking for the most powerful and most influential politician. All these characteristics can’t be ruled out, but when you have people at heart, they will know. A Nigerians of recent took to his facebook page to express his happiness for being enlisted successfully into the US army. That’s merit in play. Who does the guy knows in the US army that may have influenced his being taken. Let’s our leader be interested in building institution instead of looking for the most powerful politician. If strong and right institution is in place, even lazy man can rule. Certainly, be you upright man, you can’t rule alone. How about the people around you? Are they upright? Are they truly queuing into your vision for the country? Lets our leaders play politics with consideration in order to strengthen our institution. Lets our leaders be nationalist in their approach to issues as it affects the country as a whole. I want to believe that when we put the interest of the country as a whole at heart, working in unity, Nigeria will be a better place for us all. Merit will bring out the best for every one of us, it should not be jettisoned for favouritism, nepotism, god fatherism and all what not. Remember, when merit is in place, everyone will feel is a stakeholder in the project called Nigeria. The General Overseer (GO) of the Mountain of Liberation and Miracle Ministries, popularly known as Liberation City, has applauded the bail granted to the leader of the Indigenous People of Biafra (IPOB), Nnamdi Kanu. 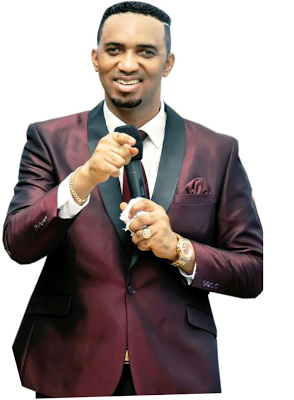 A few months ago, Dr. Chris Okafor had prophesied that Kanu will soon regain his freedom, followed by Sambo Dasuki, former national security Adviser. He maintained that not obeying the court order in releasing Kanu would portend grave danger for Nigeria. “If the courts have given an order for their release, please do whatever it takes to see that they are released. I specifically saw Nnamdi Kanu and Dasuki regain freedom, first. I said it months ago, but that’s not even the most disturbing part. What worries me the most is the demonic set up that the devil is trying to use these cases to rope Nigeria into. I don’t see our country coming out of it the same, if we allow it to happen. This is an article written by Reno Omokri. Please read on..
For the better part of this week, Nigeria has been having much of a to do about the royal snub from the Oba of Lagos to the Ooni of Ife. Such outrage, such consternation against Oba Rilwan Akiolu. The venom vented on him on social media and in real life were as though he had committed some unpardonable sin. We are angry with an Oba who refused to shake an Ooni, but not at a President who refused to shake his own female ministers on religious grounds but did not remember religion when he shook hands with the Queen of England, Chancellor Angela Merkel of Germany and Iara Oshiomhole. You can see that hypocrisy, rather than corruption is the main problem of Nigeria. A nation that sympathizes with a star's husband for attempted suicide and charges a destitute woman with attempted suicide. No wonder our Presidential Villa had been turned to a retirement home! As a people, we are easily distracted, easily carried away. We are excitable, with hyperactive nerves, quick to run away after fancies while the issues that are at the heart of our survival as a people are left untreated. While we were tearing our our hair over what might just have been an oversight on the part of the Oba of Lagos, the minister of Information, the eponymously named Lai Mohammed, announced to a distracted nation that President Muhammadu Buhari, who had just missed his third Executive Council of the Federation meeting, would be working from home! This is the same Lai Mohammed who in December 21, 2009 called for his predecessor, the late Professor Dora Akinyuli, to give daily updates on President Yar'adua's health. “It is clear to discerning Nigerians that those pretending to speak authoritatively on the President’s health are deceiving the public, since they are neither well informed on the issue nor competent to speak on it. Therefore, a daily briefing by the Minister of Information, based on authentic details provided by the President’s doctors, should start forthwith. As we have said many times, the health of the President, as a public figure can no longer be of interest only to his family and friends. Nigerians have a right to know." This is the same Lai who told us in January that the President was in perfect good health. Now we know that his health is so good that he has to work from home! And to add insult to injury, just two days before Lai told us that the President would now work from home, Chief John Odigie Oyegun was hugging the headlines calling for a second term for the stat at home President! Really! We only see the man every Friday, yet instead of praying for his recovery Oyegun is scheming for his second term! That is how they deceived Abacha and Yar'adua to cling onto power instead of tending to their health. What shall it profit a man if he shall gain the whole world and lose his soul? This is a man that we only see on Friday at Mosque. The man has more or less become a ghost President! A ghost President, with ghost achievements fighting ghost workers with an EFCC that goes after ghost monies in apartments owned by ghosts. This is what President Muhammadu Buhari and the ruling All Progressive Congress have reduced Nigeria to! It is hypocritical for a government that fights ghost workers to have a ghost President. If the President is sick let him hand over to the more than able Vice President, Professor Yemi Osinbajo! If you think it is harsh to ask the President to hand over to Osinbajo then ask him if he did not give the same advice to Yar'adua in 2010! Precisely on March 10, 2010, President Muhammadu Buhari called for the impeachment of Yar'adua because his health condition prevented him from performing his duties. For three weeks our President has not attended council meeting. For three weeks the only time we see him is at Mosque. Would he have tolerated this from Yar'adua? From President Muhammadu Buhari's residence in Aso Rock to his office takes a five minute walk. I have walked that route myself. I know what I am taking about. I have been in his official residence and I have been in his office. His office and his residence are connected by a corridor. If he cannot make it to the office despite the close proximity between his office and his residence, it suggests he may need something more than resting at home. Remember what Obasanjo said on January 20, 2010 “If you take up an assignment, a job-elected, appointed whatever it is, and then your health starts to fail and you will not be able to deliver to satisfy yourself and to satisfy the people you are supposed to serve, then there is a path of honour and the path of morality. There is path of honour and the path of morality." A 93, President Robert Mugabe does not work from home. Even Pope Benedict XVI, whose home was his office, resigned in 2013 when his health could not handle the demands of the papacy. It is not about age. It is about capacity. President Muhammadu Buhari said the same thing about Yar'adua. What is sauce for the goose is sauce for the gander. Again, President Buhari, if you cant cope, temporarily hand over to Osinbajo! It does not have to be permanent. Go and take care of yourself. Aso Rock is a Presidential Villa not a retirement home! What moral justification does the Head of Service or any authority have to query any civil servant for absenteeism going by this recent development? I urge any civil servant who is being queried or has been sacked for absenteeism to sue the Federal Government. If President Muhammadu Buhari can work from home and still collect full salary, why can't other federal workers? If the man with the most vital job can do his job from home, why can't civil servants with less vital duties follow suit. And you can imagine that only this week, the State House correspondent of the Punch Newspapers was banished from Aso Rock Presidential Villa by President Muhammadu Buhari's Chief Security Officer because of a story on the President's health. Now we know what the fuss was all about! And the excuse given by the Presidency that they were unaware of the CSO's action only raises more questions than it answers. The worst thing the Nigerian Presidency could do in the case of the The Punch Newspapers reporter that was expelled from Aso Rock Villa by President Muhammadu Buhari's Chief Security Officer is to admit that they were not informed before the actions. If the Presidency was not informed about this action done in the Presidency's name then it begs the question, who is ruling Nigeria? Who is exercising the executive powers of the President? Is the tail now wagging the dog? Is this a déjà vu of the Yar'adua situation? No wonder Babachir asked 'who is the Presidency'. We did not know what he meant! From the way things now stand, I just have to ask that between Nnamdi Kanu and President Muhammadu Buhari, who is actually in prison and who is actually free? At least we see Kanu in court. How often do we see Buhari? Nnamdi Kanu speaks with authority, can we say the same of an unrepentant blamer who blames everyone but himself for the misfortune of his administration? Nnamdi Kanu has no NTA or a Liar Mohammed yet his words affect more headlines than those who do, proving that leadership is not by position! Yet somebody thinks Nnamdi Kanu is in prison and President Buhari is free! I laugh in Igbo and Fufulde! And to think that Joe Igbokwe, the Publicity Secretary of the Lagos State chapter of the APC had the guts to say that the Igbo are not interested in Nnamdi Kanu's cause! If Joe Igbokwe really thinks the Igbo are 'not interested' in Nnamdi Kanu's cause, let him go and say so in Onitsa Market and see if he survives. It is easy to stay in Lagos and say such nonsense, but I have a word of advise for Igbokwe: No matter how much a slave rejects his father's name, his master will still not include his own name in his will. Hypocrisy has almost become a national pastime under this APC administration. It is not surprising. What more can one expect from a government that was conceived in propaganda and delivered in deceit? Take the hypocrisy in the case of Mrs. Titilayo Momoh, the failed suicide who attempted the act on the Third Mainland Bridge. Now she has been charged to court. I do not understand the point of charging failed suicides to court for attempted suicide. Do we want to drive them to succeed at suicide? Failed suicide need counseling, support and understanding. Stress, pressures of life and disappointments drove them to suicide. By charging them to court we are only adding more stress, pressure and disappointment to their life, further pushing them to suicide. This is an archaic law that is against the principles of natural justice and needs to be taken off our statute books. A government that does not care if Fulani herdsmen kill us has the guts to charge a woman for attempted suicide! Are they angry she cheated Fulani herdsmen off her life? This is a travesty of justice! They have not charged the killers of pastor Eunice Elisha who was killed in Kubwa, fifteen minutes from Aso Rock Villa. They have not charged the killers of pastor Eunice Elisha who was beheaded in Kano in broad daylight. They have not charged the killers of Southern Kaduna minorities. But it is Mrs. Titilayo Momoh who is overburdened by a debt she cannot pay that they can try for attempted suicide. What a hypocritical action! When Tiwa Savage's husband, Tunji "Tee Billz" Balogun, attempted suicide, nobody charged him for attempted suicide and rightly so. So why charge Mrs. Titilayo Momoh with attempted suicide? Does Nigeria have one law for the rich and famous and another for the poor and unknown? This woman attempted suicide because the economy collapsed and her business was in ruins leaving her in debt. Let us not fight the symptoms and leave the disease. If the government wants to deter suicide then they should fix the economy instead of trying Mrs. Momoh. I could go on and on, but I have limited space. 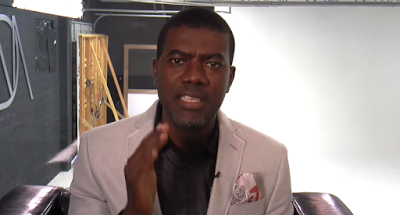 You can email me at reno@renoomokri.org to continue the conversation. My nuggets for this week centers on money so that people like Mrs. Momoh, who are overburdened by debt can get some financial intelligence that will see the escaping the debt cycle if they apply these wisdoms I gleaned from the word of God. The big difference between the rich and the poor is that the rich only borrow money to invest while the poor only borrow money to consume. The rich man gets a loan to build a clothing factory, or a retail mall or a small boutique because he knows that the poor man will go to the same bank to get a loan or a credit card to splurge on new clothes to impress people. You see, many people who look rich are not rich simply because they spend too much money trying to look rich and have little left to be actually rich. The term dressed to kill may mean dressing well but it may also mean spending too much on clothes to kill yourself with poverty. The more the poor continue buying clothes and other accessories they do not need, the more the rich becomes richer and the poorer they become. So break the cycle. Never borrow to consume only borrow to produce. Those who say money cannot buy happiness act as if being broke can buy happiness. Get money even if it cant buy happiness. Money multiplies your ability to do good. The world is evil today not because money is evil but because evil people control money. Ask yourself how helpful the Good Samaritan could have been if he had no money.